AUSTIN -- Friday afternoon, HB 489 received the first paw of approval as Governor Rick Perry signed it into law. It all started with one small pooch, when his owner, Iraq War veteran Adan Gallegos, was kicked out of a San Antonio store for trying to bring in his service dog. “They’re not used to seeing a small dog as a service dog,” said Gallegos, who attended the signing Friday. “They didn't care that it was a service animal who with was him, they didn't care he was a veteran," said HB 489’s author, State Representative Jose Menendez. The problem, according to Menendez, is that Gallegos and millions of other veterans are only protected under federal law. 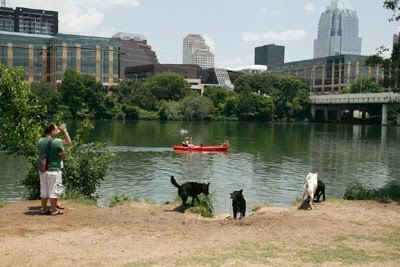 Now, there is, and it’s “long overdue” according to Austin certified dog trainer, Caitlin Lane, who works with hundreds of veterans with PTSD. “Just to see the way that a veteran and animal can bond, connect and communicate with one another is a beautiful thing,” she said. However, Lane also said it can often be hard to identify a service dog, and the owner who relies on it, since we often picture a blind person with a German Sheppard. For many veterans with PTSD, their disability is not so obvious. “Is it a certain breed, does it wear certain equipment? What does this person look like who is disabled?” are question people can ask, according to Lane. “Typically when someone looks healthy, they're like 'well why do you have that dog?'" said Rep. Menendez. But under the new law, anyone who relies on a service dog will not be required to show proof or certifications. “You can only ask, ‘is that a service animal’, and what it is trained to do,” said Rep. Menendez. Under HB 489, there will be legal consequences if someone lies about their canine’s purpose, and punishment for businesses that refuse to allow a service dog on the premise. The bill goes into effect September 1, 2013. Menendez tells KVUE that will allow enough time to let the Texas Restaurant Association get familiar with the new laws.